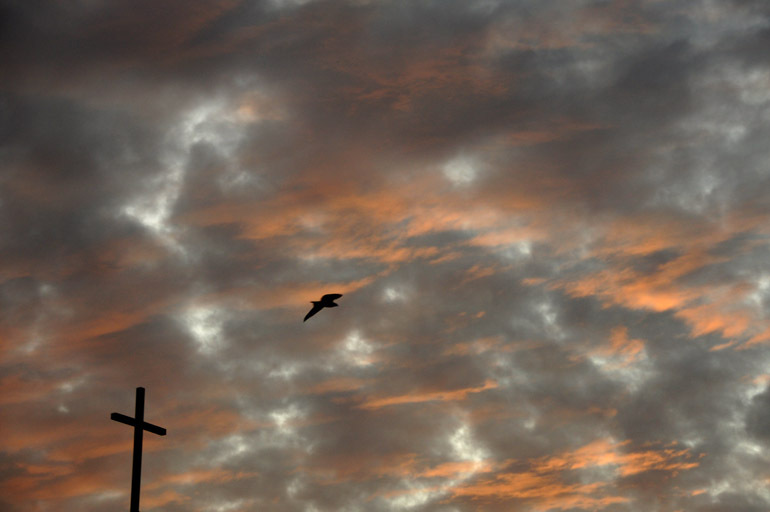 A bird flies by the cross atop a tower at St. Paul's Anglican Church in Suntree on Sunday evening, just after sunset. High clouds that built up late on an otherwise clear day made for a beautiful sunset Sunday in Brevard County. During a break from work, I set out to snap a photo, and the cross on St. Paul's Anglican Church in Suntree stuck out. While most of the posts in this series have been of a more secular nature, this edition is a reminder of the true meaning of Christmas.